NOTE: This project is inactive and the software is basically unsupported. I do not use it any more. Some other people (apparently) still do. 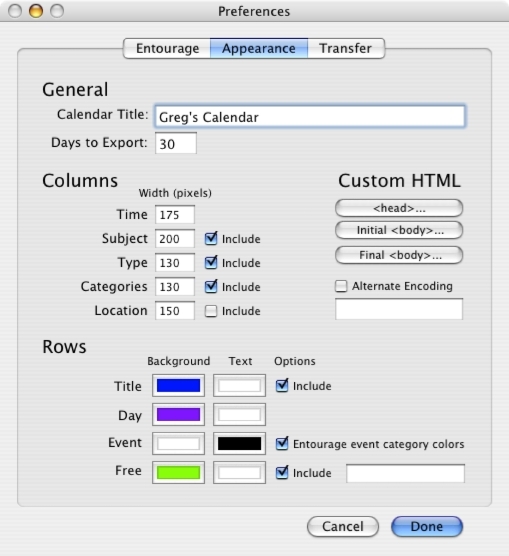 Examples: An Entourage calendar and the Events2Web version. 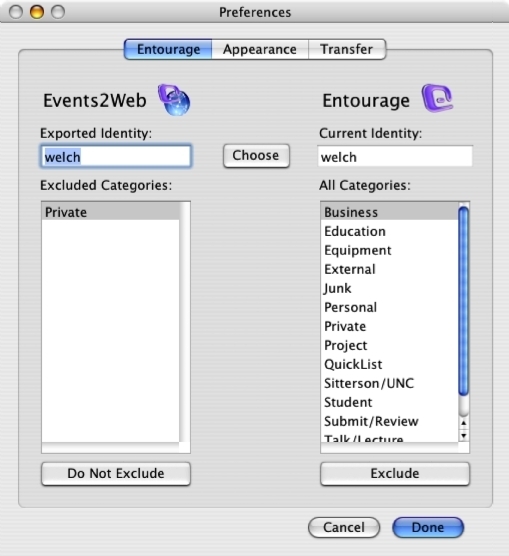 Entourage, Appearance, and Transfer Preferences. Cost: Free, although donations are accepted (see below). You are welcome to ask for support via email, however note that I no longer actually use Entourage (or Events2Web), and as such have reduced motivation to add features, etc. 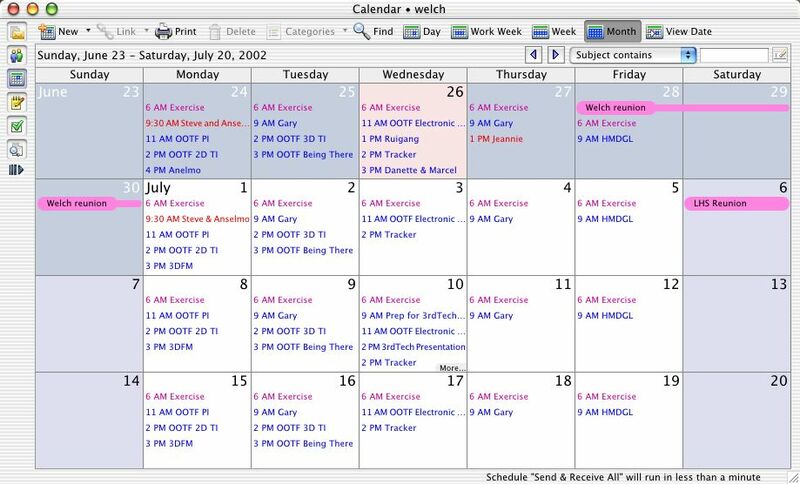 Events2Web is free. If you find it useful and would like to join the "exclusive" (small) club of Events2Web donors, please click the button below (PayPal secure donation). accesses since January 1, 2002. Click the Site Meter icon to view more detailed statistics.